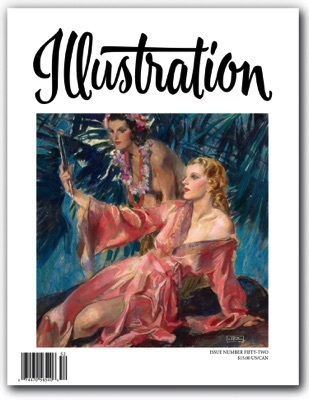 In this issue: We present the glamorous and elegant work of John La Gatta, one of the most famous and well known illustrators of his day. Our feature includes numerous examples of his original art. Next up, we feature the crisp draftsmanship of Harry Beckhoff, accompanied by numerous examples of his brilliant work. Our final feature is on the poster artists of WWII, by John Witek. Book reviews, exhibitions and events, and more round out the issue. 112 pages. $15.00.